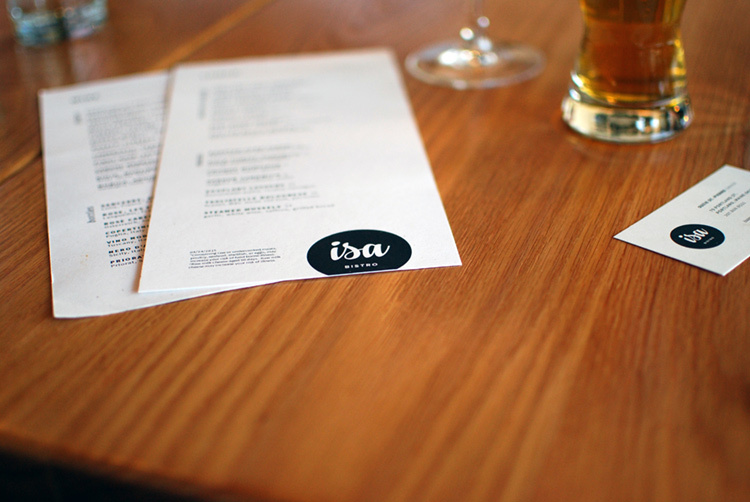 Isa is a casual neighborhood bistro located at the edge of the Bayside neighborhood in Portland, Maine. The menu is locally sourced, Mediterranean-influenced, but eclectic, taking cues from a variety of cuisines to produce a unique twist on reliable favorites. The brand design is restrained, simple, and at home in the space, which combines paned windows, warm wood, original tin ceilings, and black and white hexagon tile.